The household staff of Downton Abbey carries out their duties with effortless dignity, finesse and pride. Yet how do they know how exactly to lay the table, when to leave the room to give Lord and Lady Grantham their privacy, how to care for Lady Mary's furs and which uniform to wear when? This recently recovered and fascinating staff handbook answers all of these questions and more. 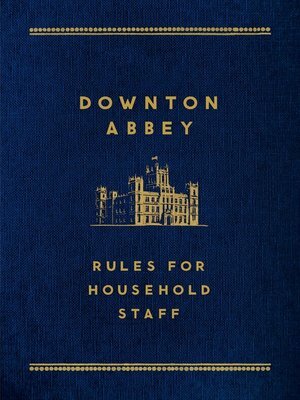 Covering all the main positions of the Downton household—footman, lady's maid, housekeeper, groundsman and more—and with a general introduction for new members of staff from Carson the Butler, this book tells you everything you need to know about working below stairs in the grand estate of Downton Abbey. Introduction by Mr. Carson, the butler at Downton Abbey.